Protecting the hands is an instinct, but few people appear to understand exactly what is needed to protect the hands in our everyday working lives. The skin is the largest and most flexible organ of the human body. It plays a vital role in helping us live as it makes us who we are, it holds in our vital fluids, it prevents the ingress of microbes and disease, and it’s also waterproof and pretty wear resistant. As amazing as the skin is, it still needs protection from harm, as it can be damaged and is often easily punctured or cut. An area of the skin that is most commonly affected by cuts, punctures and disease is our hands. Our hands play a vital role in many of the things we do, from greeting people to feeding ourselves. In reality we often take them for granted, yet without our hands we would find some operations and tasks virtually impossible. Doesn’t it make sense, therefore, to look after and protect our hands? Having worked in the asbestos and demolition industries for more than 25 years, the types of work that I and many others have done involve interaction with and handling of asbestos. Through correct and good quality training, most people now know that asbestos is a category 1 carcinogen. When dealing with asbestos, although workers do all that is physically possible to prevent dust release, it is essential that a respirator and coveralls are worn. Little thought is ever really given to protecting the hands from this material, as most of the time the risk assessment seems to be focused on respiratory protection, rather than skin and hand protection. As bad as asbestos can be when inhaled, a little known fact is that asbestos also has the potential to cause disease and damage to the skin, in particular the hands. Although this isn’t a fatal disease it can be very worrying to anyone affected and can even cause scarring. The disease I speak of is called asbestos corns or, more commonly, asbestos warts. Asbestos warts are small nodules caused by asbestos fibres implanting into the skin, as a result of handling asbestos materials without adequate skin protection. 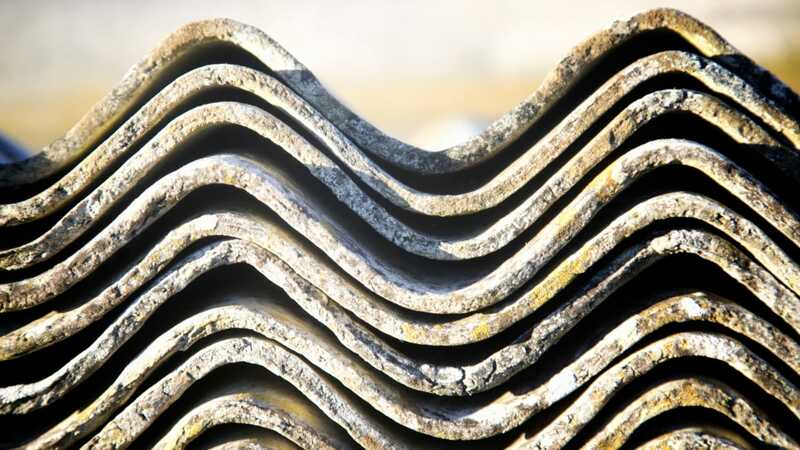 Although sometimes painful, asbestos warts are usually self limiting and do not have any serious consequences, but they can cause concern in anyone affected by them. Asbestos can still be found in products in many hundreds of thousands of buildings across the UK. The asbestos found in some of these products can be a high concentration of sharp, needle like microscopic fibres. When these asbestos materials are handled, the fibres can easily penetrate the skin and become lodged. The fibres then work their way deeper into the dermal layers, forming small lumps on the skin’s surface. Although these lumps can be surgically removed, surely we should be focusing on prevention, rather than treatment? Wearing suitable protective gloves is the safest, most cost effective way of protecting your hands during hazardous work activities. In my industry, workers tend to wear tough leather, Canadian rigger type gloves for demanding tasks such as working with asbestos cement, as these protect the skin from abrasion, cuts and more importantly from asbestos fibres. They are also cheap enough to discard as hazardous waste once the works are carried out. When conducting delicate operations such as asbestos surveying or laboratory analysis, a lightweight, disposable nitrile type gloves would offer a suitable level of protection and again can be easily disposed of and replaced after the task has been completed. A cloth, latex covered glove can also be used when working on damp or wet materials, and where a level of dexterity needs to be maintained. Having worked with and met many asbestos, demolition and construction workers, a great number of them tend to believe that it is seen as ‘more masculine’ not to wear gloves when carrying out manual and dirty tasks. All of those who I have met who have suffered from skin diseases and hand injuries, however - and this also includes me by the way - really do wish that we had chosen to wear good quality gloves throughout the works. 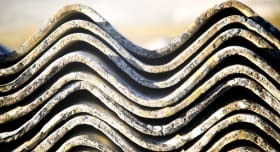 Having conducted many risk assessments for asbestos, demolition and refurbishment works, aspects to consider include whether protection is needed, what type of protection is needed, and of course, what will the cost be. When it’s possible to purchase pretty good quality gloves for around £0.99 per pair, however, this is a small price to pay for your personal safety. It is not always easy to remove risk, but risks can easily be managed. There is another very important message that all readers should understand when using gloves for any works with asbestos. Gloves have a high chance of becoming contaminated - with potentially very serious consequences. The risk is not always clear to see, but it should always be considered. If gloves get wet during the works, but look undamaged, workers tend to dry them out either by using a heater in the canteen or on the dashboard of their van on the way home. When dry, the gloves could release high levels of fibres into the working environment. Asbestos fibres would be too small to see with the naked eye, but can very easily be inhaled. We must, therefore, ensure that contaminated gloves used on works with asbestos are not reused. They must be thrown away correctly as hazardous waste at the end of the shift, or stored in a safe location should they need to be used again. Wearers must be made aware of the dangers of this potential exposure. You may or may not be aware that asbestos was once used as a material for making gloves. These were commonly made using Chrysotile, or white asbestos, as this type of fibre was easily woven to create sheets of fabric, which were then used to make gloves and other products such as table cloths and napkins. Asbestos gloves were commonly used and found - and are often still found even today - in school and college science labs, having been used by the pupils and students when handling hot equipment such as beakers over Bunsen burners. I am still working on the risk assessment for these types of gloves, but as protective as these gloves were, the associated risks mean that this type of glove should no longer be used. As with gloves that are used for works with asbestos, these should also be thrown away and discarded correctly as hazardous waste. There are various types, styles and protection levels of gloves available from thousands of outlets. I have found the Internet a valuable resource for locating glove suppliers. Information is easily sourced and good prices are often found. Just watch out for quality - just because something’s expensive it doesn’t always mean you’re getting the best product. Ask for a sample before committing to bulk purchases - most companies tend to oblige in this area. More importantly, make sure that what you buy is what you tried; I’ve been caught out a couple of times by Far Eastern suppliers, so make sure they have a returns’ policy. Plant and tool hire companies along with builders merchants also tend to have a good selection of gloves available, often of very good quality and in supply. The benefit of buying here is that you can try before you buy. You know what you’re getting and you have the product when it’s needed. The DIY market also offers a selection of good quality gloves for various levels of protection. Due to the number of sources for gloves and the various types available, there really isn’t an excuse for not providing adequate protection. The following sections outline several glove types and uses. Canadian rigger style gloves These offer a low cost and effective solution to most manual handling tasks. Gloves can be colour coordinated to assist in identification for particular tasks. Various grades of protection are available. When used on asbestos works it is strongly recommended that these are single use, disposable items, following a strict procedure and the correct packaging for hazardous waste. Nitrile coated cloth gloves These are suitable for light to medium tasks and can also offer a level of water resistance. With a low cost, these gloves offer a suitable alternative to the heavier duty rigger style when working with asbestos cement products. Due to the nitrile coating, these gloves could be decontaminated following correct procedures, but it is recommended that they are disposed of following tasks with asbestos. Disposable, powder free nitrile gloves These are light duty gloves, ideal for general light duty tasks that may include working with liquids. Disposable powder free nitrile gloves are used by laboratory technicians and asbestos surveyors. Depending on the works being carried out, various sizes and standards are available. These gloves are often purchased in boxes of 100 to 500, but smaller quantities can also be sourced. Whether you’re dealing with chemical, mechanical or heat hazards, make sure your gloves meet the relevant standards. Mechanical hazard Under standard EN 388, gloves are tested against mechanical hazards including cuts and abrasions. The higher the number, the better the resistance. The following table shows the resistance coding of gloves. Chemical hazard Used for situations where materials and substances may irritate or burn the skin. Only liquid proof gloves displaying the EN 374 symbol offer approved chemical resistance. Heat protection EN 407 contact heat protection gloves are ideal for works on hot materials or where there are risks of burns. Grading is identified by numeric value: the higher the number, the better the protection. An alphabetical identification method is used to identify the substance or situation that may be encountered; for example, an E4 glove offers protection from small drops of molten metal at a higher level, whereas a B4 glove offers contact resistance. Other protection There are various other levels of protection available against hazards such as water penetration, biological, radiation and electrical to name a few. A number of gloves offer combined protection, or you can just buy the type needed for the task at hand. It is vitally important that the any gloves issued offer correct and sufficient protection against the particular hazard or substance that the wearer will encounter. Gloves can offer protection, but please remember they can also be a hindrance if the wrong type, size or protection is selected. This may encourage a worker to remove the gloves, leaving him/her vulnerable to hazards. If you are unsure what type of protection is needed, speak to your supplier or seek professional advice. Information can also be sourced from the internet via glove manufacturers’ websites, the Health and Safety Executive (HSE) in the United Kingdom, and manufacturers’ data sheets. Gloves can protect workers. They enable tasks to be carried out safely by preventing cuts, abrasions, burns and infections. By selecting the correct glove with the right level of protection and monitoring its use, this will result in less down time and lower worker absence, and will help maintain a healthy, lower risk working environment. Gloves should be regularly inspected and replaced if there are any signs of damage. Contamination should be monitored and if in doubt, the gloves replaced. Please also bear in mind that asbestos isn’t the only potential contamination - chemical and biological risk may be present. Cost should never really be applied to our safety, but in reality we all work to budgets and programmes. For the cost of a few pounds, however, good quality gloves can and will pay dividends in the long run. Be safe, be protected.